The urge to process and tell the stories of the painful 90s has underpinned a number of recent Georgian arthouse successes. 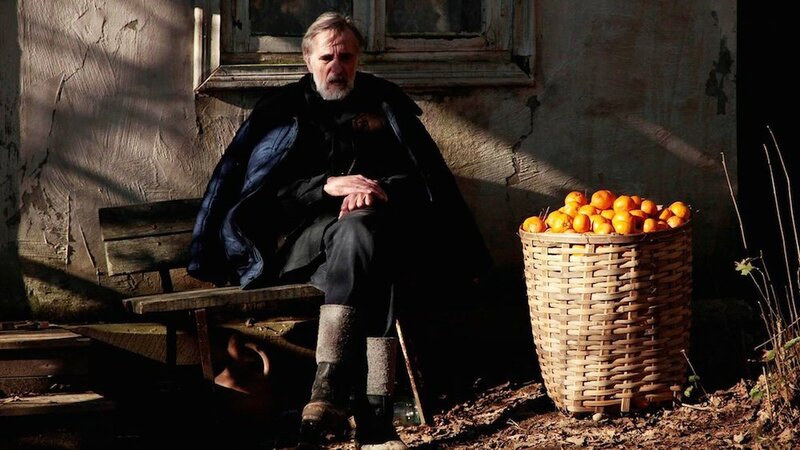 In Zaza Urushadze’s Oscar-nominated anti-war drama Tangerines (2014), two ethnic Estonians who have stayed for the harvest in another deserted village in Abkhazia take in rival wounded soldiers. 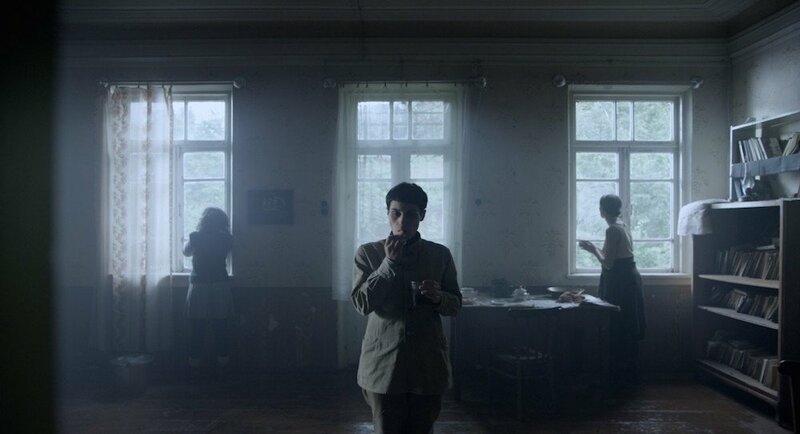 Similarly acclaimed is In Bloom (2013), the coming-of-age tale of two teenage girls in Tbilisi just after independence which was the feature debut of directing duo Nana Ekvtimishvili and Simon Gross. 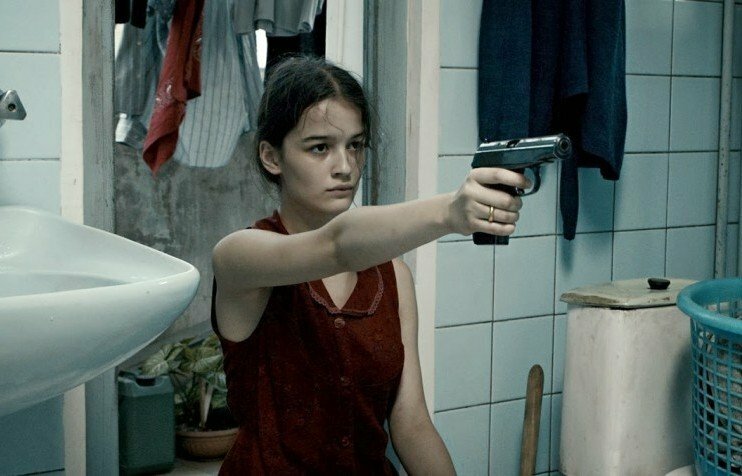 Scripted by Ekvtimishvili and based on her own memories, it depicts a society teetering on the brink of violence, where carrying a gun for protection raises few eyebrows among macho teens. 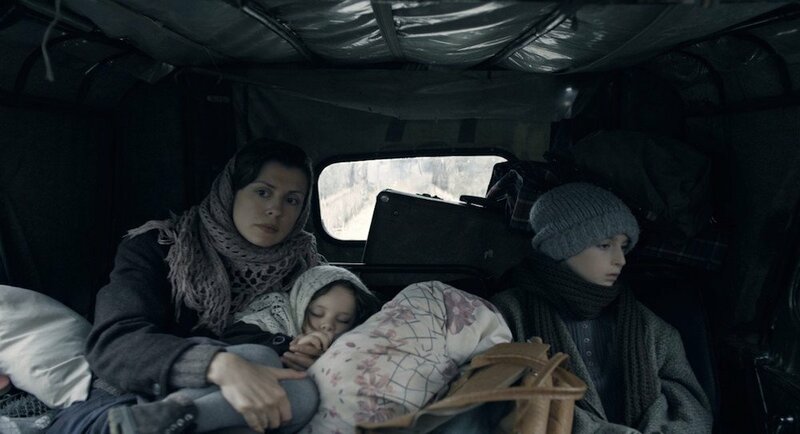 Elsewhere, the visual majesty of the unforgiving Caucasian mountains is conveyed in a bold, idiosyncratic manner in Dede, a feature debut at Karlovy Vary that won a special jury award for its talented director Mariam Khatchvani. 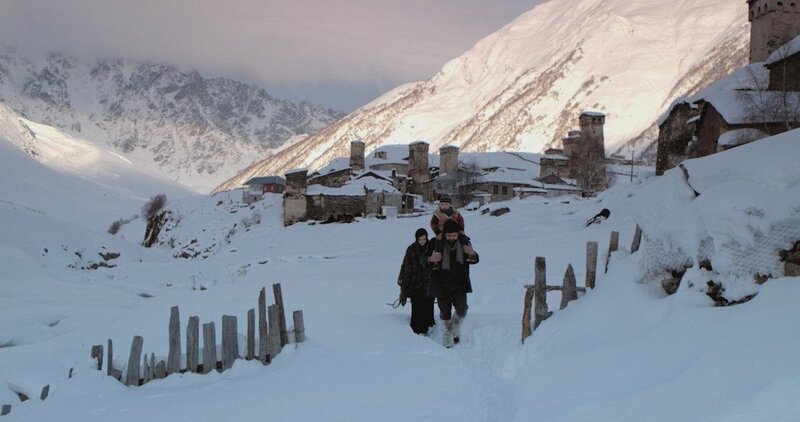 It was shot in the Svaneti region of northwest Georgia, where she was born. Inspired by family experiences gleaned from her grandmother, its focus is a woman (Natia Vibliani) whose determination to marry for love rather than adhering to the strict rules of the clan system inevitably sparks bloodshed. 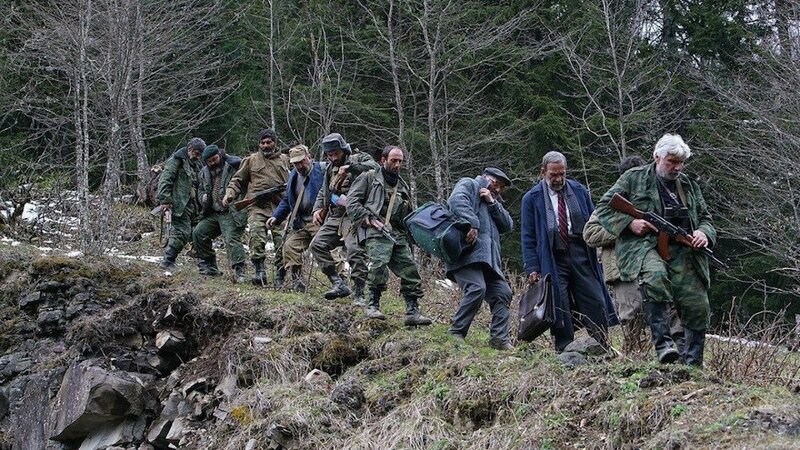 The film is in the Svan language, which Khatchvani urgently wants to preserve, and as a result has a cast almost entirely made up of non-professionals. Khatchvani tells me the production hit a roadblock after ten days of shooting. Two of the male leads, one of whom is her husband (cinema is very much a family affair in Georgia), were arrested after an argument with a police officer, and handed disproportionate jail time of 6 months. While fighting for their release Khatchvani altered the script to accommodate their absence and restarted the shoot. “Now for my next project I am working to make a script about this system,” she says. “The police can change people’s lives because of one small accident. They changed Dede, unfortunately. But if I make a very good film about this misfortune, it will be some consolation.” In one scene in Dede, villagers gather to watch a Georgian comedy classic, Eldar Shengelaia’s dig at Soviet bureaucracy Blue Mountains, or An Unbelievable Story (1983), in which a writer struggles to have his manuscript read by publishing house employees, who fob him off at every turn. Its vision of persecution by callous officialdom could prove a touchstone for Khatchvani’s next endeavour. 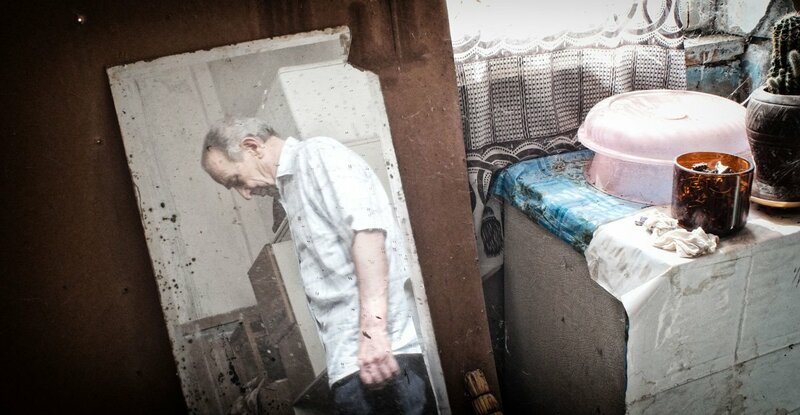 There are also echoes of the exasperation of Blue Mountain’s writer protagonist in My Happy Family, the latest from Nana Ekvtimishvili and Simon Gross, in which the inability of middle-aged literature teacher Manana (Ia Shugliashvili) to get a minute for herself amid the whirl of demands and nagging of her relatives is portrayed with a charming feel for the absurd and farcical. 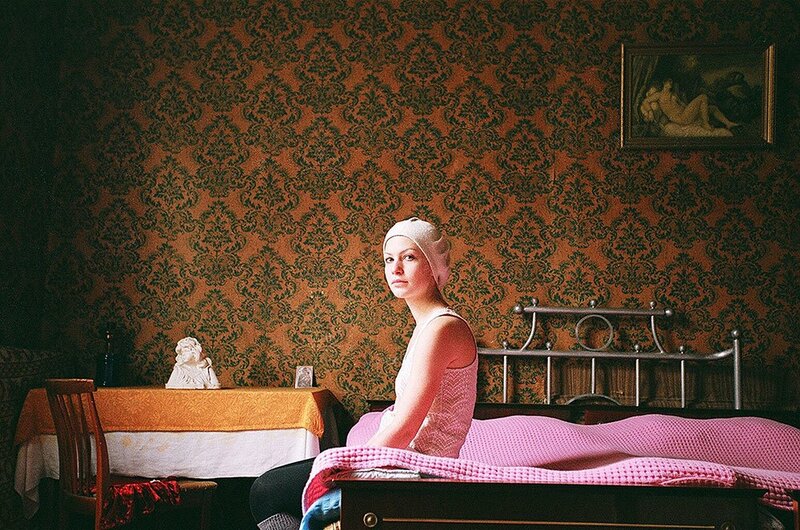 Manana decides to leave her husband and the loud, chaotic apartment they share with extended family to live on her own. It’s a decision nobody around her supports or understands, and its basis in the conviction that women should be free to nurture their own inner lives is at odds with Georgian society’s traditional emphasis on family. As with so many films produced by the “young generation”, My Happy Family deals with the loss of certainty in a changing world. But in the hands of these new talents the tradition of Georgian cinema itself has indisputably been revitalised, and looks more assured than ever. 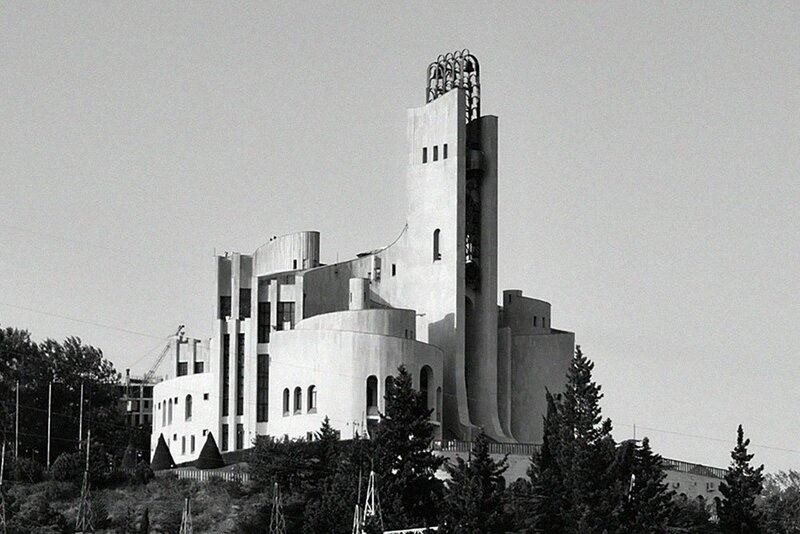 Soviet po-mo: what can we learn from Georgia’s forgotten master architect?